The headline of this Globe and Mail piece by Jane Taber is rather misleading (it leads readers to conclude the Liberals made a serious effort to recruit Julian Fantino for themselves), but some important news is found further down in the article itself where Taber reports that on Nov 25/10 Fantino’s conduct in Caledonia was, for the first time in five years, the subject of discussion in the House of Commons thanks to two Liberal MPs who wondered why – given Fantino’s candidacy for the federal Conservatives – MP Diane Finley’s signature was on a 2009 anti-Fantino petition circulated by Haldimand residents. 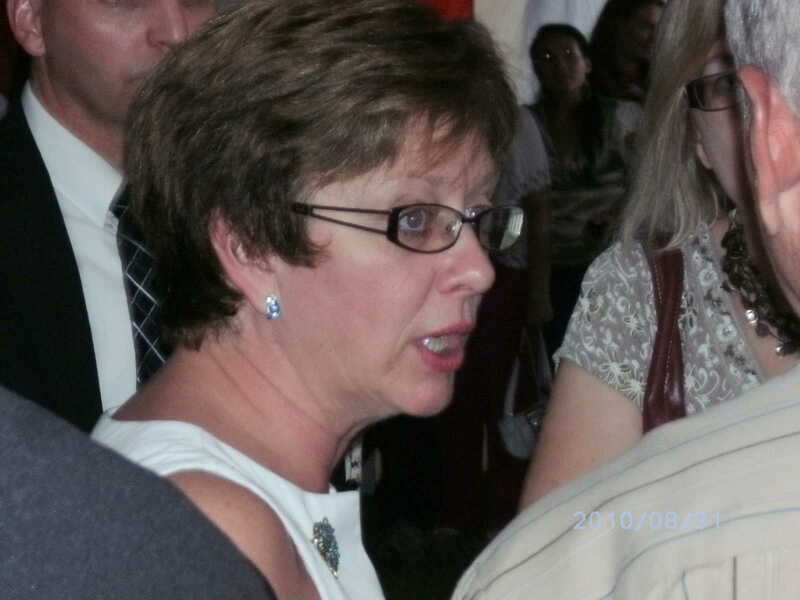 And Thursday two Liberals [MPs Rob Oliphant and Maria Minna] – stood up in the Commons to attack Mr. Fantino over his handling of the native protests in Caledonia when he was the OPP commissioner. 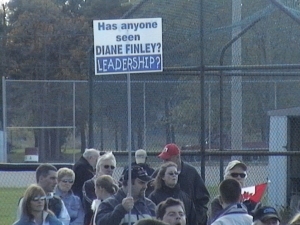 They noted that Human Resources Minister Diane Finley, whose represents the troubled corner of Ontario, had signed a petition calling for an inquiry into Mr. Fantino’s actions. CHRISTIE BLATCHFORD: "Front line officers of the OPP were sold down the river...by Julian Fantino..."
NO more Caledonias. NO more racial policing. NO more appeasement of native extremism. NO more threats against elected officials. NO more attacks on free speech. NO more lies. NO more illegal Canadian flags. NO more abuses of the justice system. 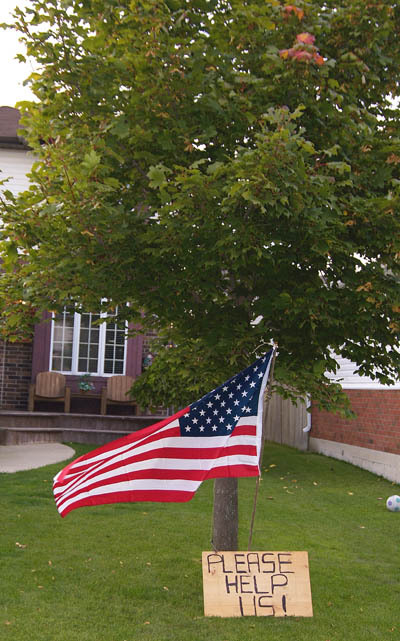 NO more illegal peacekeeping missions on Canadian soil. NO more ignoring innocent victims. NO nomination for Julian Fantino by the Conservative Party of Canada. 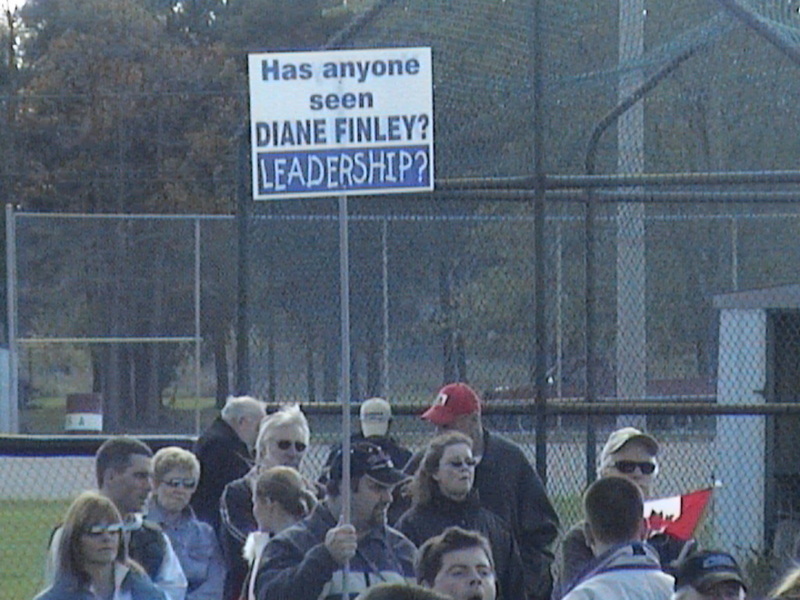 'HAS ANYONE SEEN DIANE FINLEY? LEADERSHIP?' Sign at Gary McHale's inaugural March for Freedom, Caledonia, Oct 15/06 wondering why their Conservative MP won't speak up for them. 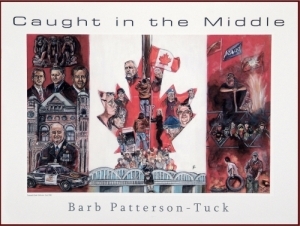 Caledonia artist portrays Stephen Harper as one of the 'Hear No Evil, See No Evil, Speak No Evil' monkeys in her award-winning portrayal of the Caledonia crisis - 2 years before he welcomes Julian Fantino (shown below as one of Caledonia's tormenters) Click the image to learn more.